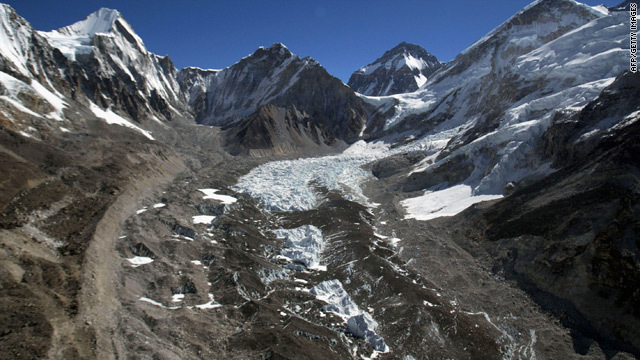 The 2007 IPCC report erroneously stated that the Himalayan glaciers would vanish by 2035. In a statement released Wednesday, the Intergovernmental Panel on Climate Change (IPCC) said estimates relating to the rate of recession of the Himalayan glaciers in its Fourth Assessment Report were "poorly substantiated" adding that "well-established standards of evidence were not applied properly." Speaking at the World Future Energy Summit in Abu Dhabi Wednesday, the IPCC chairman, Rajendra Pachauri admitted errors had been made but said it was not an excuse to question the legitimacy of all global warming science. But is has recently emerged that the IPCC statement on Himalayan glaciers, which was based on information from a 2005 report by the World Wildlife Fund, was in turn gleaned from an article that appeared in the popular UK science journal, The New Scientist in June 1999. In the article, "Flooded Out," Indian glaciologist Syed Hasnain speculates that the Himalayan glaciers could vanish within 40 years as a result of global warming. In defense of the IPCC, Zemp says "you can take any report and find a mistake in it but it's up to the next IPCC report to correct it."